With a commitment to providing outstanding customer service and product support, UDISYS aims to establish long term partnerships with its customers and suppliers. 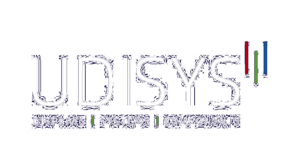 Surrey, UK – 07-July-2017 – UDISYS is proud to announce its UK distribution business for display and embedded system products. The company has been established with multiple supplier agreements, including the sole UK distribution franchise for Riverdi Sp. z o.o., a European manufacturer of TFT Display Modules. The Riverdi product range includes TFT Displays with a number of controller options, including the innovative EVE controller from FTDI. The displays are also available with either resistive or capacitive touch screens, along with Riverdi’s uxTouch products, providing a capacitive touch screen with extended cover glass, available in standard and customised options. “With the growing demand for HMI solutions requiring fast time to market, we believe it is the ideal time to launch a company that can provide a range of display and embedded hardware products, along with the knowledge and expertise to help customers achieve their product design requirements,” said Tim Bonnett, Managing Director of UDISYS Ltd.
UDISYS will distribute its products from modern European logistic centres and can provide full batch and serial number traceability through its real-time inventory management system. Udisys is a specialist distributor of high quality products for companies that require display, touchscreen and embedded hardware solutions. Our supply partners provide leading edge products for these technologies and this coupled with our modern European logistic centres, mean we are ideally positioned to deliver outstanding service in today’s demanding development and manufacturing environments. Our team has the experience and knowledge to provide customers with technical and design-in support during the development of their products and outstanding customer service to meet their commercial and supply needs. Touchscreen displays – where to start?